Aussie, Aussie Aussie! 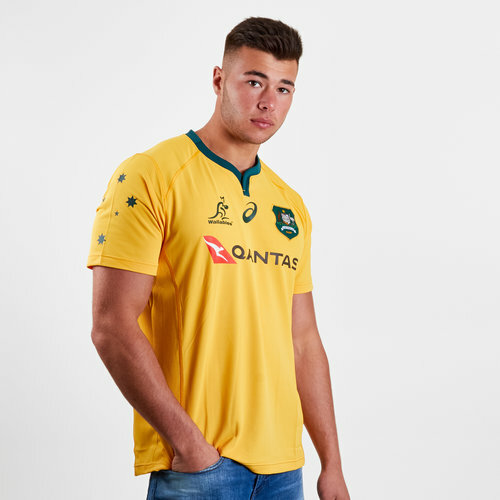 Show support for the Wallabies throughout the season with this Australia Wallabies 2018/19 Home Supporters S/S Rugby Shirt from Asics in the classic Gold colourway. This players shirt also features the Wallabies logo embroidered on the right chest as well as the Southern Cross on the right arm. In the famous colours of Australia make sure no one is confused who you're cheering on with this Asics Australia Wallabies 2018/19 Home Supporters S/S Rugby Shirt.